For any mammal coming into the UK that is not covered by the Pet Travel Scheme they will be liable to follow our quarantine rules. For Cars and dogs this means six months in an approved quarantine kennel. DEFRAAny kennel that operates as a quarantine kennel has to be registered with the Department for the Environment Food and Rural Affairs (DEFRA). Each pet is allocated a kennel and because of the quarantine rules will not be allowed to mix with other animals at the facility. This is to safeguard his health and that of the other inmates. After all, the quarantine period is to show that the animal is not suffering from an illness that can be passed to animals once he is released in the UK. The design of the kennel is such that the lower part of the dividing partitions is made of brickwork so that dogs cannot touch each other. Your pet will be cared for and groomed regularly whilst in the quarantine kennels. For people importing show animals and long coated breeds it is a relief to know that their pets will be released looking as good as the day they went in. Each quarantine kennel has a veterinary service whereby vets will visit most days and check over ever new visitor as they arrive. If a pet has a particular diet or the owner prefers a certain food for their pet their choice will be observed within the kennels. As much as possible the kennels will provide a home from home for the animals whilst still observing the strict quarantine regulations. You will be allowed to visit your pet as much as you wish although bit is always best to make an appointment depending on the rules of the kennel establishment. You will be able to play with your animal as long as he does not leave the run that is attached to his kennel. For anyone new to transporting their dog and making quarantine arrangements most quarantine kennels will do all the organising for you and collect your pet from the airline that transported him. If you are still living abroad they will keep in touch with you and give you man up to date report on how your pet is settling into his new surroundings. The kennels will supply bedding but if you think that your pet will be happier with his own bedding then they will allow you to take it in for him. The same rule applies for toys as well. 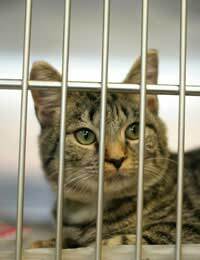 In some instances female pets will have to go through quarantine after being mated. This does not happen quite so much as many pets can now travel under the Pet Travel Scheme (Pet Passport) but there are still some animals that have to be quarantined as they have travelled from a country that is not part of the scheme. Be assured that the animals will be well looked after and the puppies will be brought into the world with the best of starts to life. Kennel staff will be happy for you to participate during the births and will follow any feeding guidelines that you have. I bought a miniature dachshund puppy who had a passport and was micro chipped. Naturally I registered him with my local vet upon which she thought he was younger than the passport stated and assumed him to be an illegal puppy. She informed the trading standards and he was taken from us and quarantined. I did take him to another vet who said he was perfectly ok but because apparently there was some doubt he still had to be taken. I was devastated and could do nothing.At a cost of £25 per day and all vets fees etc etc I had to pay.There is nothing wrong with my puppy as the authorities told me I could visit him everyday which I have done and that when he is let out he will be fine!! He has become an aggressive biting and growling puppy in quarantine and I feel terrible about everything that has happened. Surely this is not right.